Nearly 20,000 homes are built by self builders each year which accounts for approximately 11% of the total new houses in the UK, within this figure approximately one in three new detached houses are created by self builders. Our experience in this sector is in new build traditional masonry construction, timber frame, SIPS panels, barn conversions and renovation projects. We work closely with Custom Homes the UK’s largest package home company and are on their approved list for project management services for Southern Wales and the English Boarders. 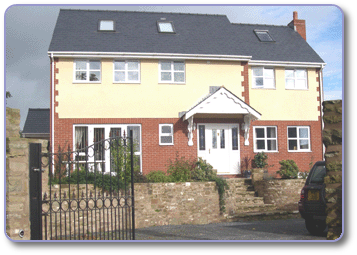 We have also project managed other major timber frame supplier’s houses such as Potton and Taylor Lane. As most self builders and small developers need a helping hand sometime during their project our involvement and fees can be tailored to the client’s specific needs. We can advise on procurement, cost budgeting, contract programming and cost consultancy. Since we are independent to the sub contractors we act in our clients best interests always keeping an eye on the budget. We understand that this is probably the biggest investment that most people undergo in their life time and some people say the forth most stressful experience after death, marriage and child birth. We can assist to make this a pleasurable and memorable experience rather than a chore or disastrous one. We take the aggravation and worry for you. The cost of employing a project manager can usually be recouped by the savings and efficiencies made compared with self management unsuccessfully and going over budget.